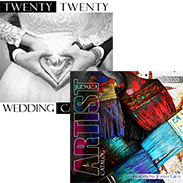 Shalom and Welcome to www.TraditionsJewishGifts.com, the online extension of our family-owned Traditions Judaica Gifts store at the Festival Market in South Florida's Pompano Beach. Those of you who've visited our store know that we offer one of the largest collections of Judaica gifts in the world. However, what you may not know is that our business is founded on the same Jewish traditions we celebrate with our customers daily. 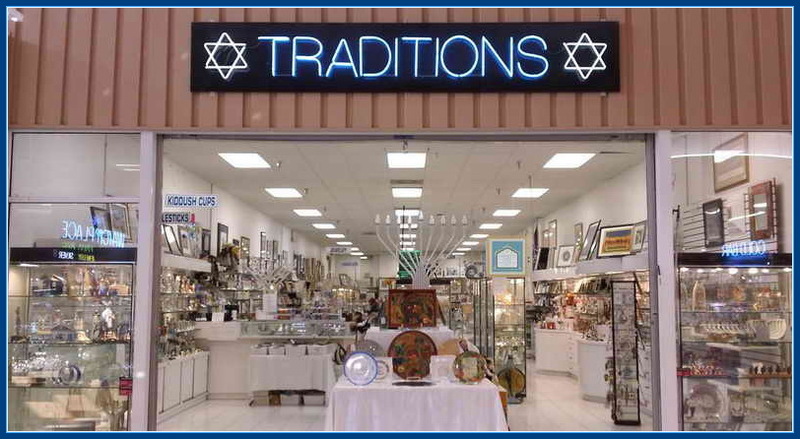 Traditions Jewish Gifts started in 1991 with a humble 10 x 10 booth at the Festival Flea Market Mall. Armed with just a small collection of Judaica gifts and specialty items, our founder, Louise, set up shop. It wasn't long before business boomed. So she opened up another booth. These two booths turned into three. The three booths turned to four. Eventually, Louise's success enabled her to open up a full-fledged store at the back of the mall. The store flourished—and not just because of the heavy tourist traffic or Traditions' huge assortment of Jewish gifts. Though a customer may walk in for a mezuzah pendant or a silver-plated menorah, they'd find themselves lingering to share memories or swap stories with Louise. 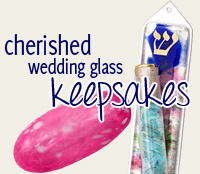 The engraved rings reminded them of their wedding day; the Torah gifts, of their bar mitzvahs. It wasn't a store built only on sales. It was a store built on traditions. Our family has its own traditional story to tell, thanks to the wise, matchmaking eye, of Louise. I first met Louise while running my own Judaica family business. My father and I sold our handcrafted Judaica jewelry to different specialty stores across the country, and Louise had been one of our customers. We often visited her store to learn how our products were doing. On one such visit, Louise looked me over and told me she had another place for me to sell my jewelry. "You should go to Aventura Mall," she said with a twinkle in her eye, "My son has opened up another store there. You'd do very well there. Go talk to him." I demurred, but she insisted. So I found myself heading out to Aventura. I met her son Brad and soon enough, I realized why she had sent me there. Louise wasn't trying to help me with my business; she was trying to set up a match! Louise had her matchmaker hat on all along, and apparently, she knew exactly what she was doing. Brad and I fell in love, and we were married a year later. Matched and married thanks to a Jewish matriarch, taking over the family business: what could be more traditional than that? When Louise retired in 2007, Brad closed his Aventura store to manage Louise's Festival Mall store. Brad and I have taken on the traditions Louise left for us. When our child was born, I started www.TraditionsJewishGifts.com as a way to expand the business from home. There I could still take care of our newborn child, And as our child grew, so did our business! We've gone from a small home office to an entire warehouse: just like Louise had gone from a small booth to a full-fledged store. Our business lets us help our customers celebrate the same milestones and traditions we've celebrated in our lives. As a result, we've kept traditions alive for thousands of satisfied customers. We pride ourselves on our customer service: if you can't find something online, call or email us. We'll work our hardest to find it for you. And if you're ever in South Florida, stop by and see us. Enjoy the sunshine. Browse our beautiful collection of Judaica gifts, and ask us about Louise: we'll be glad to tell you about her.